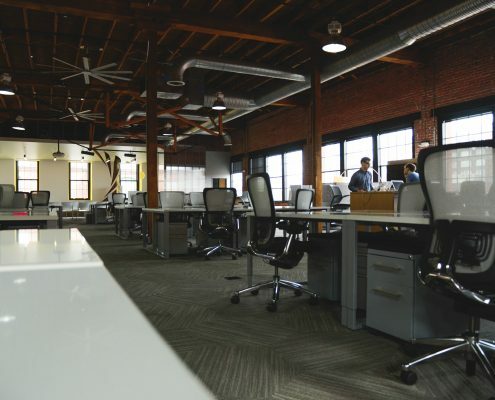 Office Cleaning and Maintenance – Make sure your team is ready to be successful with a clean and tidy workspace! We’ll clean floors, restrooms, carpets, empty waste baskets among many other services for your office! Hot Water Extraction – A method of carpet cleaning. It involves a combination of hot water and cleaning agents being injected into the fibers of a carpet at high pressure and all lifted soil being removed by a powerful vacuum. Tile and Grout Cleaning – The secret to clean-looking tile floors, walls and counters? Clean grout. Tile resists dirt and stains but grout is porous and absorbs dirt and spills, so it stains easily. Let us get your tile looking new again. Wall to Wall Carpet Cleaning – We’ll make sure to get every inch of carpet cleaned in your workspace. It’s important to get to those rarely seen places when possible, we’ll do just that! Upholstery Cleaning – When you have guests at your office, you want to make sure the seating area is clean and professional. We can make sure your upholstery shines like you do! Are you ready to get your office looking like perfection? Martha’s Cleaning Services Inc. is family owned and operated and it was established in 2005. Since then, we have been providing the best service in Northern Virginia, D.C. and Maryland.